Read more about Linked data versus geospatial semantics: Where do you stand? There are lots of reasons you should come to Seoul for FOSS4G but not limited to below. First, you can meet differences. FOSS4G 2015 will be the first time event outside of Roman alphabet world. You may meet different language, culture, character and foods. These differences will inspire your imagination and creativity. Cultural diversities in OSGeo will eventually enrich the OSGeo structure and pipe the new fresh energy to OSGeo. Third, you can expect one-shot-two-kill by attending FOSS4G 2015 Seoul. FOSS4G 2015 Seoul will be held in conjunction with Smart Geo Expo at the same venue. Smart Geo Expo will take place from 21st to 23rd, Sep just after FOSS4G 2015 Seoul. Smart Geo Expo is one of the largest international geospatial event in Asia. Last year, more than 80 companies & institutions including Samsung Electronics, Google, Sokkia, Trimble, Topcon, ESRI Korea, Leica exhibited their products there in Smart Geo Expo. And more than 10,000 people visited exhibition booth and attended several seminars & conferences. International High-level(usually minister level) meeting is usually there. The awesome thing is that Smart Geo Expo is total FREE! 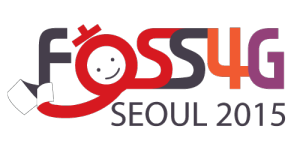 For the success of FOSS4G 2015 Seoul, we definitely need your help & support. I would like to ask something to you. At first, please share this info with others around you and create buzz!! Lastly please save and earmark some money for FOSS4G 2015 Seoul. You will never get disappointed. Let’s escape from the accustomed!! Hope to see all of you in Seoul next year. The World Geospatial Developers Conference (WGDC 2015) is a world-leading annual conference organized by 3sNews Media for the last 3 years, aiming at leading and promoting innovation in the geospatial industry all over the world. WGDC 2015 will be held in the National Convention Center in Beijing, June 10-11, 2015. WGDC 2015 focuses on popular applications in domains such as smart cities, drones, commercial satellites, real estate registration, underground pipeline, business intelligence, telematics, and BIM. Authoritative experts, analysts and renowned enterprises will be present to discuss opportunities for geospatial cross-industry innovation. Leading companies from world’s geospatial industry will showcase their innovative products, technologies and business models and exciting new start-ups will display their game-changing new offerings. This is a business platform for projects, geeks and investors. WGDC 2015 offers the opportunity to brainstorm with business elites, create trust and cooperation with business partners, build high-end brand identity, advance cooperative business platforms, and receive attention from users, media and public as well as gaining insight into market trends. Please note: This Request closed on 22 May 2015. The Open Geospatial Consortium (OGC®) has issued a Request for Quotations/Call for Participation (RFQ/CFP) in the Incident Management Information Sharing (IMIS) Internet of Things Pilot Project (IMIS IoT Pilot).(http://www.opengeospatial.org/projects/initiatives/imisiot). IMIS IoT Pilot sponsors have documented interoperability requirements and objectives for this pilot activity. Organizations selected to participate in the IMIS IoT Pilot will develop solutions based on the sponsors’ use cases, requirements and scenarios, which are described in detail in the RFQ/CFP. Participants’ solutions will implement using existing OGC standards as well as new prototype interface and encoding specifications introduced or developed in OGC testbeds. Outcomes will be documented in public OGC Engineering Reports. The Point of Contact for information about this Pilot initiative is Lew Leinenweber via email at: imis-iot-responses [at] opengeospatial.org. US Department of Homeland Security (DHS) Science and Technology (S&T) http://scitech.dhs.gov. The RFQ/CFP includes details of technical requirements and task to be performed as well as details on participation eligibility, selection process and kickoff workshop information. OGC testbeds, pilot projects and interoperability experiments are part of the OGC Interoperability Program, a global, hands-on collaborative prototyping program designed to rapidly develop, test and deliver proven candidate standards into the OGC Specification Program, where they are formalized for public release. Responses are due by 5:00 pm EDT on 22 May 2015. For the most efficient use of time in this webinar, please send your questions in advance to imis-iot-responses [at] opengeospatial [dot] org, by 5 pm EDT on 1 May 2015. 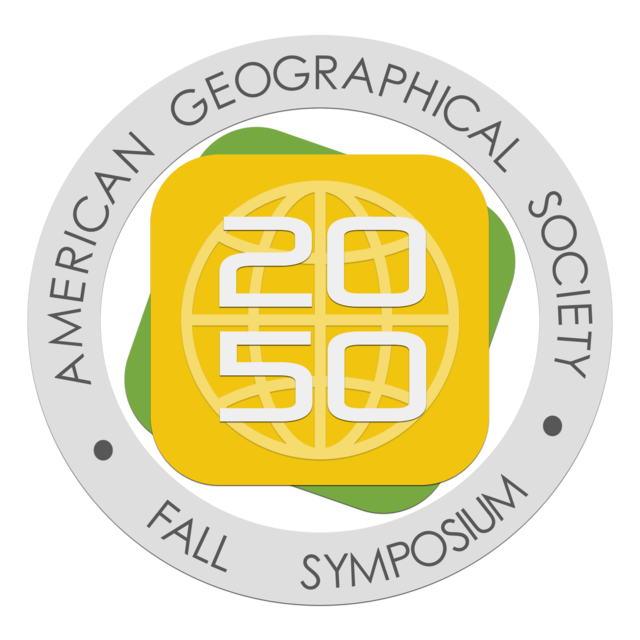 The AGS Fall Symposium brings together leaders in business, government, science, and education that might not otherwise have the opportunity to interact, and provide opportunities for discussion, debate, and collaboration to further the understanding of the future of our cities. Please note: This Request closed on 8 May 2015. The membership of the Open Geospatial Consortium (OGC®) seeks public comment on the candidate WaterML2.0 - part 2: Ratings, Gaugings and Sections Standard. WaterML2.0 represents an initiative within the joint WMO/OGC Hydrology Domain Working Group to address standards development and interoperability of hydrological information systems at an international level. The first part of WaterML2.0 focused on a standard information model, and an XML encoding derived from that model, for time series of hydrological observations. The candidate WaterML2.0 - part 2: Ratings, Gaugings and Sections Standard describes an information model for exchanging rating tables, gauging observations and river sections.